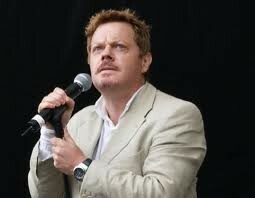 Edward John "Eddie" Izzard (born 7 February 1962) is an English stand-up comedian and actor. His comedy style takes the form of rambling, whimsical monologue and self-referential pantomime. 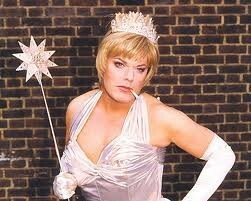 Izzard's works include stand-up sets Unrepeatable, Definite Article, Glorious, Dress to Kill, Circle, Sexie and Stripped. He had a starring role in the television series The Riches as Wayne Malloy and has appeared in many motion pictures such as Ocean's Twelve, Ocean's Thirteen, Mystery Men, The Cat's Meow, Across the Universe, The Chronicles of Narnia: Prince Caspian, and Valkyrie. He has cited his main comedy role model as Monty Python, and John Cleese once referred to him as the "Lost Python". In 2009, he completed 43 marathons in 51 days for Sport Relief in spite of having no prior history of long distance running. 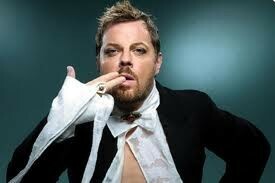 He is also known for his transvestism.